Blog is understandably short name (portmanteau) for weblog. In other words it is a daily journal or diary. Few weeks back a blogger compared his blogging to ‘defecating in public.’ It must be very simple and automatic affair for him. To me, as I said earlier, it is a diary of my synthesised thoughts. It is a store house of useful links, pictures, ideas, knowledge and people. It is not constant. It keeps changing. Since my perception about various things can be wrong, these posts are an invitation to correction. Knowledge is another name for information and it gets obsolete every moment. The are so many tips giving Bloggers that list is endless. Their tips range from technical aspects to commercial. I started following one such ‘Blog Guru’ (or Guruain being female). In one of her posts she recommended another Blog Guru. Now we reached to second Guru reading his tips for Blogging. Most of plugins were for self hosted Blogs. Other recommended sites were commercial paid sites to assist in mundane things while promising sky. So we left this page and looked at other posts. One post was about making money. Reading it, nothing new was found except that the advertisement generated revenue is of three types. But again it was for self hosted site which is impossible for a beginner. Now our attention turned to author. He was College going student and had provided link to his personal blog but that blog was missing. ‘Page does not exist’ type missing. So the Guru’s own blog was down and he could do nothing. Now the curiosity was the wings. Now I came back to 1st Guru and started to read older posts. They certainly knew technical things, better than me. My guess is that most of the posts were re-run of old ones. It also appeared that these Guru recommend each other frequently. My guess is that it is fair to follow their technical knowledge but to follow their brilliant ideas, commercial or otherwise, is running towards mirage. Dream Merchants: Like Religious Gurus, most of these Gurus are dream merchants. Anyway I still do not know what is SEO. It is said that SEO is to website what Al Nino is to weather. Good thing is that I don’t understand either. Hence I am free from the stress of ‘progressive achievement’. It appears that there are various reasons. So are the alternatives. To share photographs FLICKR is better place than blogging and is relatively simple. With options to add comments, tags and one liners, it is far better. There is one more reason, Flickr offers about 300 mb free space every month unlike WordPress where total free space is 3 gb. To share one liners there is nothing like Tweeter. Nothing cumbersome to be done and message is spread everywhere. Not only the people following us but any one searching for a particular subject can find the tweet. To share interesting web page via ‘press it’ widget of WordPress or something similar is the most common method of blogging. The better option for such collection of interesting published thoughts is SCOOP.IT. Visit the web site (same domain name) and create one or more beautiful Magazines duly curated per choice and shared with all. 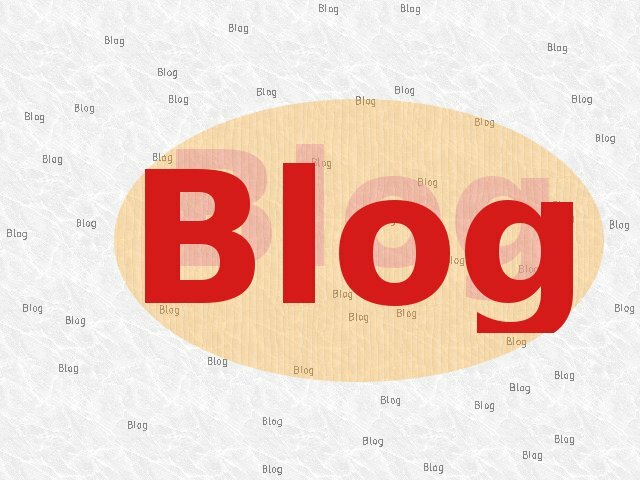 Blogging is a better suited if we have a lot to talk or write about and it mostly consist of original idea. Unless original thought is reflected in original writing, there is no point in deceiving one self that it is a blog when actually it is just a dump of pictures, one liners or garbage picked on the way. Sorry for being harsh. There is however a better alternative way i.e. to combine all or some of above. Something like here. On the right is Tweeter and Flickr in the widgets. Since thoughts compel me to write. frequently, I keep doing it. Otherwise I could have a static page introducing me, with or without my family and pictures, while other activities could continue on the margin. Pictures and other material could change but not so frequently. Traffic to web site is a different matter. First of all, these meters do not agree. In fact two meters from same source do not agree. The blogging tip that go around and to click likes on other’s page, comment and follow others, so that they will follow you, is all a marry-go-round by scratching each others back. Such mutual visits may raise your counter but does not reflect the intrinsic value of your writing. This is an old face book trick, which made that unreliable measure of popularity. This does not mean that one should not comment at another page but the truth is most of the bloggers do not like criticism or debate. What is said is final. So better stay away from controversy, unless someone invites a debate. Do not expect any rain of foot fall just because we wrote something funny or important or unique. Blog to share the thoughts with others not to share the revenue with Google. People read what they need, not what Google vomits on them. We carefully escape junk search results at all the time. So does everybody. Let’s keep blogging and be honest by being ourselves. This entry was posted in LifeStyle, Relationship, Sci/Tech and tagged Blog, Blogging, Flickr, Google, Guru, Guruain, One liner, Panda, scoop.it, Search engine optimization, Sharing, Social Networking, Tweeter, Web page, WordPress. Bookmark the permalink. Good work, Dude, you really have to check your Comments more often! In case you missed my comments.